Summer vacation offers a multitude of ways for children to spend their free time. The swimming pool calls, camp comes and goes. There’s a new video game to play, bike to ride, and movies to see. Reading isn’t always at the top of the list, or on the list at all if you have reluctant readers at home. However, reading during the summer months can not only prevent the “summer slide,” it adds a whole new level of fun and adventure. Here are eight ways to inspire your child to love reading this summer. 1. Start at the library. Libraries hold the key to adventures of the imagination. Make going to the public library part of your family’s weekly routine. “I like to challenge the kids to read more than I do over the summer. They enjoy that challenge,” says Kimberly Whalen, a teacher and former librarian. She always gives her students fliers about the local library’s summer programs to inspire them to get involved. Create a special library bag for each child, using a canvas bag and fabric paints from the craft store. Having a special place to put library books makes it easy for kids to carry to/from library trips. It’s also a great place to store library books before/after reading, so the books don’t get left all over the house. 2. Check out summer reading programs. Retailers in your area may offer reading incentives to kids over the summer. For instance, Barnes and Noble Bookstore has a summer program for school-aged kids that earns kids a free book when they complete the reading journal form, available online. Applebee’s restaurants host a Bookworm Club, which includes a free sundae and a free meal at its conclusion. At Showcase Cinemas, kids can see free movies during Bookworm Wednesdays when they read books. Kids can also enter to win free books through Scholastic Books. Some libraries offer incentive programs, where children can earn prizes based on how much they read. Most local YMCAs also have summer reading challenges. Check your local programs or search online to see ideas from other YMCAs, such as these great resources from YMCA of Greater Seattle. 3. Read the book, then watch the movie. Parents can make reading a family activity by reading a book and then watching its film adaptation together. Read the classic Winnie the Pooh books by A.A. Milne to your little ones, then watch The Many Adventures of Winnie the Pooh. Or, if you have reluctant older readers, see City of Ember and read the book by Jeanne DuPrau. For middle grade and young adult readers, suggest reading The Giver by Lois Lowry before enjoying this summer’s release of the movie. For more ideas, you’ll find several Kids’ Books Made Into Movies lists online. 4. Create a special place to read. A little reading nook can be an inviting place to take a favorite book. Ben, Christy Lyon’s oldest son, has a reading space under his loft bed with a bean bag chair, pillows, and a bookcase. He and his younger brother also like to read outside during the summer. You can create a fun reading space by setting up a basket of books and pile of pillows near a lamp or hang a sheet to make a portable reading tent outside. If you have an actual tent, set it up for a week or two and have nighttime reading under the stars. Grab a book, a flashlight, and some bug spray, and enjoy reading stories to the music of crickets. 5. Picnic with a book. Make summer reading special by taking your books and a picnic lunch to a park. Make snacks that coordinate with the book you’re reading. 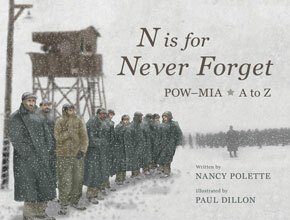 Make red, white and blue kabobs with strawberries, marshmallows and blueberries to go along with The Spy with the Wooden Leg by Nancy Polette or John, Paul, George & Ben by Lane Smith. If you like Harry Potter, take along pretzels dipped in chocolate and sprinkles for magic wands. Pack cheese and apples if you’re reading mouse books like the Geronimo Stilton books or the Redwall series. If your outing involves swimming, bring a water-themed book, such as I’m the Biggest Thing in the Ocean by Kevin Sherry, or bring a book that can be read during short breaks from the water, such as a comic book or poetry collection. Kimberly Whalen recommends Shel Silverstein’s poetry for elementary age kids. 6. Mix in book-related crafts and activities. The Internet is filled with ideas for making reading fun, from parent bloggers to Pinterest boards. Reading Confetti, a blog by mom and former teacher Lorie, offers book-related crafts, recipes, and activities. After leaving her job as a reading teacher to stay home with her kids, Lorie created Reading Confetti as a way to continue doing what she loved. For example, she posted a favorite family recipe, “Frozen S’mores,” which she and her kids made to go with S is for S’mores: A Camping Alphabet by Helen Foster James. 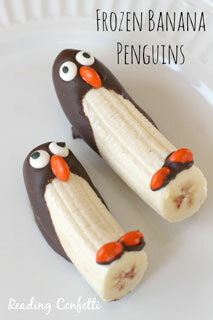 You can also get the recipe for penguin frozen banana pops to go along with the picture book Flip and Flop by Dawn Apperley and a penguin craft to accompany Tacky the Penguin by Helen Lester. “I think it’s important for kids to read and be read to all year long. Summer offers an especially great opportunity to listen to audio books during road trips, to read outside, and to visit the library,” Lorie says. Public libraries sometimes offer book-related crafts or visits from costumed characters from favorite books. Also, check out your local community education calendar for special author visits, family reading programs, and story-related craft classes. 7. Include the entire family. Find ways for various family members to participate in the fun of reading together. Take turns reading books aloud. A parent or older sibling can read the narration, while a younger child reads the dialogue, making up voices for the characters. When reading aloud to little ones, choose one or two simple words they know and invite them to read that word themselves when you come to it. Christy’s family was on vacation one summer when her then five-year-old son, Andrew, was learning to read. Ben, who was ten, spent car rides and flights taking runs reading with Andrew. “By the end of the trip, Andrew was a reader and Ben was proud of himself for ‘teaching’ his brother to read,” she says. Let your children choose their reading material. Anything that interests them will keep them coming back for more, even if you don’t love those books or topics. Lorie’s daughter went through a Strawberry Shortcake book phase, which Lorie didn’t enjoy but didn’t prohibit. “Reading is reading. Unless it contains objectionable material, let them try it,” she says. Another way to include the whole family is to share reading updates and recommendations once a week. Make Friday evenings Book Review Night. It’s a fun way to find out what everyone’s been reading during the week, discuss likes and dislikes, and show interest in children’s ideas and opinions. Use creative ways to track milestones and accomplishments. For example, make a paper chain with a link for each book read or each fifteen minutes of reading. Hang it in the living room where everyone who visits can see it. Choose great books at your child’s reading level. Try different styles of books. Often, a love of reading begins when a child finds that first really, really good book. There are many children’s book recommended lists and book finders online, such as the International Reading Association’s Choices Reading Lists and PBS bookfinder. Whether you’re making a craft that relates to a book, eating a snack your favorite character eats, or making a new place to settle in with a book, finding new and fun ways to enjoy books reinforces the idea that reading is a pleasure and not a chore. Have fun reading this summer! 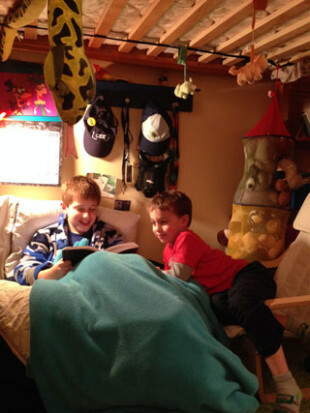 Feature photo: Ben and Andrew Lyon enjoy a special reading place under Ben’s loft bed. Courtesy of Christy Lyon. Inset photo: Creative snacks to encourage reading. Courtesy of Reading Confetti. Charlene Kochensparger is excited to start her summer reading. She blogs about crafts and books at Glitter in My Kitchen. Such a great article. Thanks for letting me be a part of it! Thanks for your wonderful ideas, Lorie! Thanks for your time and for having such a great blog, Lorie! I enjoyed reading your column about summer reading. As a teacher, I would suggest these ideas to my students’ parents because they would be easy to implement in a busy summer schedule. Thanks for the ideas! Thanks for reading, Julie! Glad these ideas would work for your students! Thanks for your kind comment and thanks for being a teacher! Teachers rock! 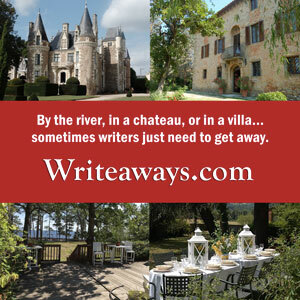 Subscribe to our FREE monthly Readers Write email. You’ll receive links to new articles in our monthly magazine, exclusive subscriber content, a chance to win giveaways, and an opportunity to share your perspective in our Readers Write column. Designed by WPZOOM Copyright © 2019 — Books Make a Difference. All Rights Reserved.